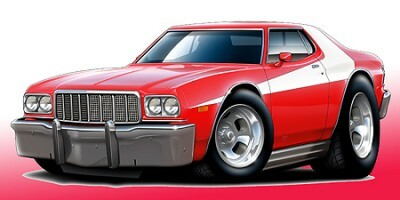 For those that have read my introduction, I will outright admit that I have never worked on vehicles older than late 80s. 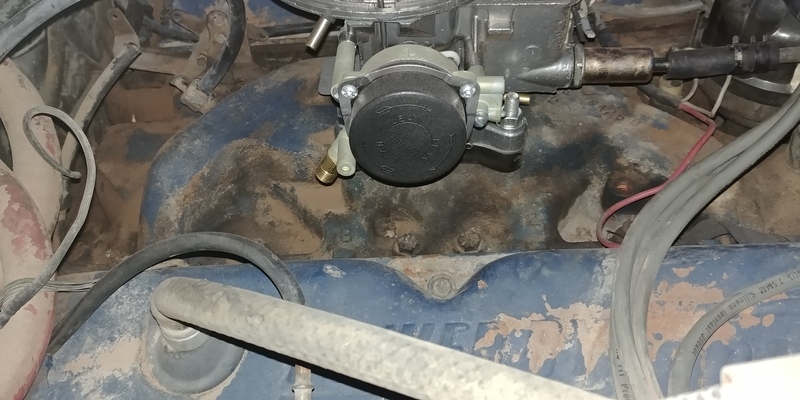 As such, carburetors are still new and foreign concepts to me, and without a good reference I'm not 100% sure my carburetor is actually hooked up right. It seems to work but it just doesn't look like it's hooked up right. 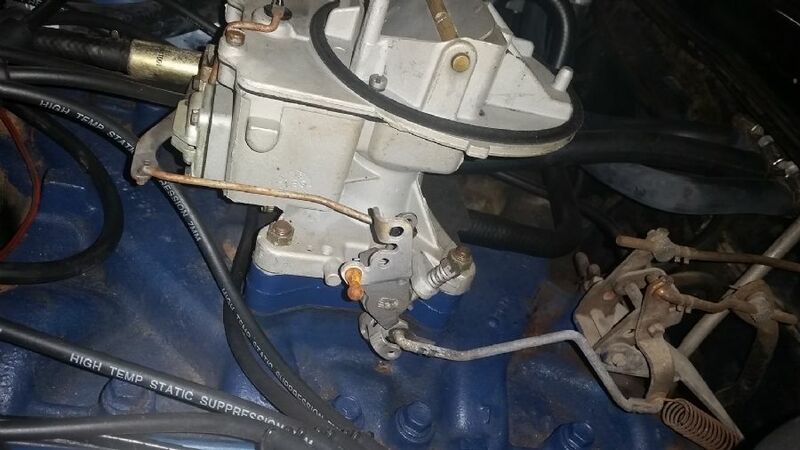 Would there be anyone willing to snap a picture of their throttle linkage on the carburetor so that I can compare/emulate? 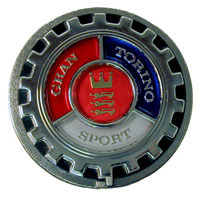 I've not managed to find a decent example yet for a 68 Torino. I don't have a picture for your particular car, but take a photo of your setup and post it here and we can see if how it looks. It's pretty straight forward to connect it. Does the gas pedal pull the carb to WOT when it's floored? Is there any binding in the linkage? What kind of carb are you running? I'm on a 24 hour shift today, but I'll shoot a few pictures tomorrow. I went with the 2 barrel Autoline C833, since I was just trying to get the 302 running while the 390 is being rebuilt. The instructions included were amazingly generic, not even for my specific model or setup. 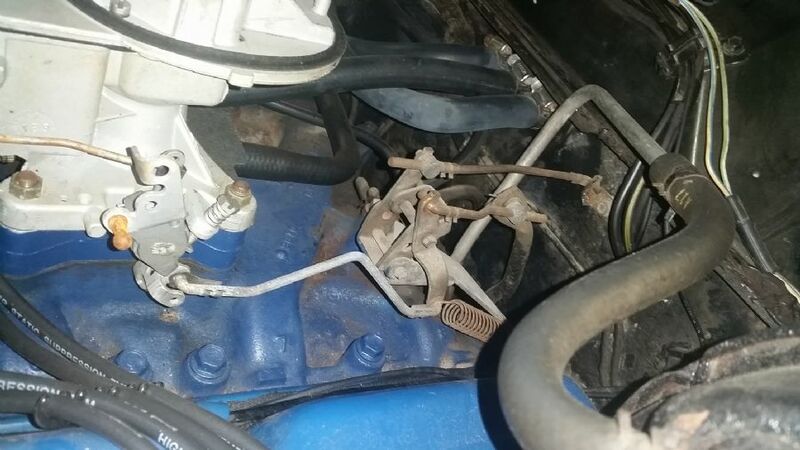 Couple this with the fact that I can find no images on the internet for the throttle linkage setup for a 1968 Torino, it's been a little frustrating, lol. Yes the gas pedal (currently) is pulling the carb to WOT (or what I can approximate to being WOT) when it is floored, but it just doesn't feel like I have much travel from the idle position to floored, perhaps because I'm used to modern vehicles? I know it's not hooked up right though, since I've got a really janky setup that regularly pops loose after a few uses, coupled with the fact there's a lot of unused parts that I know have a purpose, but cannot divine what they might be. I have no dash pot, which many diagrams refer to. 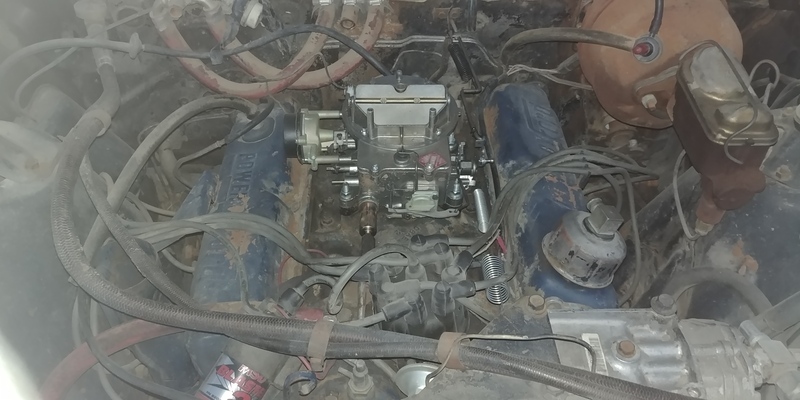 I also have literally nothing hooked up to my choke, but the one gentleman I found with my same carburetor and engine (though in a Ford wagon, I think it was a Fairlane) had nothing hooked up to it either and claimed the engine ran fine. I cannot find those posts again, however. Anyways, as I said I'll snap a few photos tomorrow when I get off of shift. 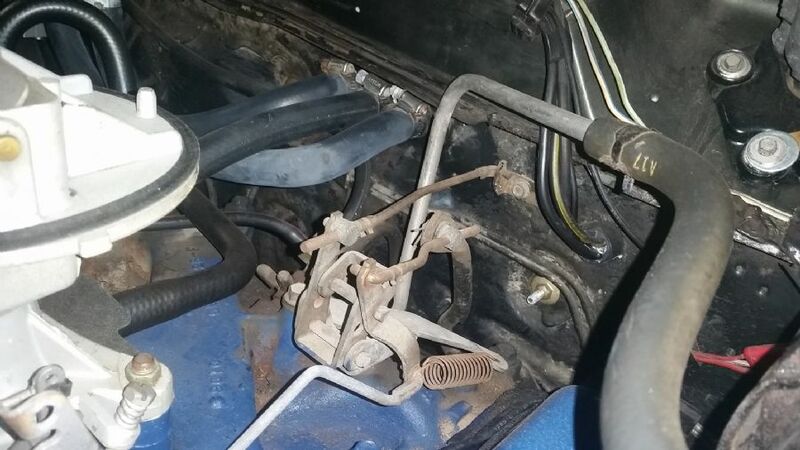 So before anyone asks why I have a spring connected to the throttle link, it's because the rubber grommet where the linkage connects was dry rotted and fell out while I was playing with the setup. 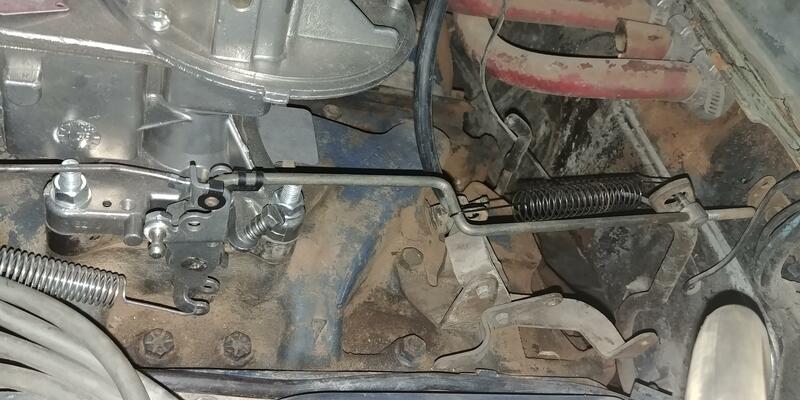 It's there because i do not have a cotter pin to keep the linkage in the hole. Other than that, any assistance on the proper way to hook all this up would be greatly appreciated. 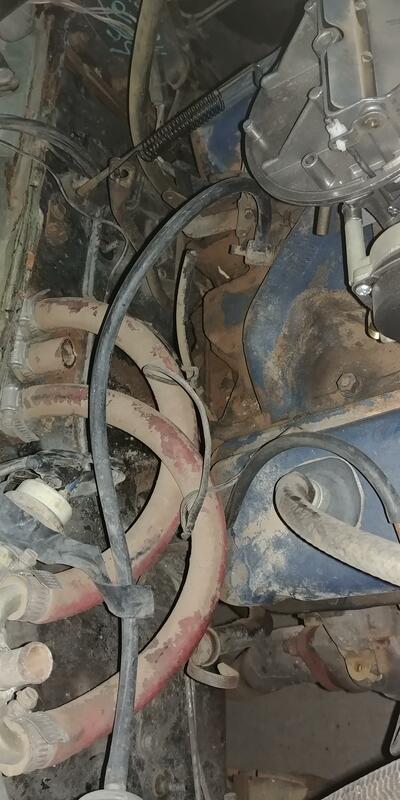 And here's just two quick over views to show the mess of vacuum hoses and other random hoses that are either not hooked up or bypassed... (Previous owner bypassed the heater core for reasons unknown). not sure but looking at the pics ...looks like the extra threads on the linkage with hit the firewall preventing you from getting full throttle??? that style choke uses hot exhaust air to open the choke usually it has a steel fuel line type tubing from the exhaust cross over in the intake near it, but i don't see it on your intake some came from the back end of the exhaust manifold up to the choke. heater was probably bypassed because the core leaks??? Not sure, as I'm no expert, but you may have that hooked up to the trans kickdown location. Throttle linkage should go further towards the front like in this pic of a 2-barrel. The rod closest to the carb body is the trans kickdown, and the one further away is the throttle. But I could also be wrong on your particular set-up, too. Someone will chime in quickly, I bet! Pretty sure that ball affair towards the front of the car is where the throttle linkage connects. As mentioned above, you are probably hooked into the transmission kickdown hole. why is there a spring pulling the throttle OPEN ? and why is the bellcrank not being used? Here's a few pics of the setup on mine. '69 351W 2V. Pretty sure it's as it left the factory as it's a 61k car that sat for 28 years. Anyone know where I can get that link rod that goes from the bell crank to the carburetor?